Learn how enterprises are integrating their systems and data across the multi-cloud. Digital transformation projects present “pervasive integration” challenges that are pushing IT leaders to redefine their integration infrastructure strategy. In fact, according to Gartner, 20% of large organizations are already beginning to implement a bimodal, DIY integration approach via Hybrid Integration Platforms (HIP) to enable seamless connectivity across the enterprise. This ability to integrate anything, anytime and anywhere can be used as a powerful tool for businesses who want to drive innovation and create lasting competitive advantages. But what exactly does it mean to operate in a multi-cloud and hybrid-cloud environment? First, let’s review the basics. The terms multi-cloud and hybrid cloud are patently similar, but not without some important distinctions. A multi-cloud environment implies that an enterprise business uses various cloud services. Almost all businesses who end up moving into the cloud employ this strategy. It’s like having an organization that uses Salesforce CRM for the sales and marketing cloud, and AWS for the development cloud. Each service has a unique function. The company can assign roles and hierarchies, and the people using the systems may or may not overlap. However, in most cases, enterprise businesses aren’t just going to be using the services of one or two cloud vendors. They need much more to power their operations. For instance, they might have a separate vendor focused on cloud security, another who provides VPN access to proprietary systems, and so on. Businesses are still learning the many ways a cloud environment can be useful for them. However, one thing that all of these services have in common is that they exist on a public cloud, where multiple users across different customer accounts can access information and benefit from cloud services. Similarly, a hybrid cloud environment can most certainly embody a multi-cloud strategy, and most of them likely do. What makes a hybrid-cloud unique is a blend of on-premise, private cloud and public cloud services. 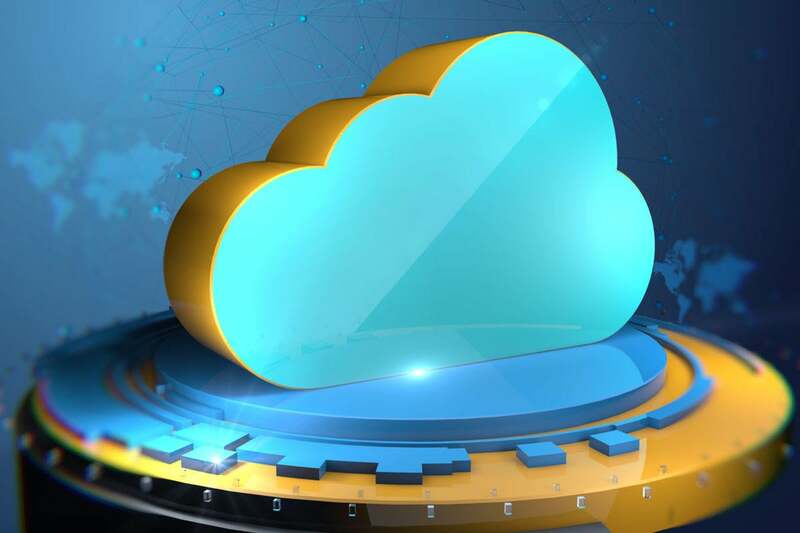 Any business that is using a tool like Salesforce for their marketing cloud, in tandem with on-premise servers and private cloud solutions -- like those geared at the financial and healthcare industries where compliance standards are rigid -- is implementing a hybrid cloud environment. When you think of multi-cloud, think about a strategy to gain efficiency through varying cloud services. And when you think of hybrid cloud understand that it’s a term that makes implications about a company’s on-site hardware and software capabilities. The two terms aren’t mutually exclusive but in fact work hand-in-hand with hybrid integration platforms. In simple terms, a HIP is an infrastructure that relies on like communication and control protocols to integrate systems in the cloud patchwork environment created by enterprise digital transformation. Internet of Things (IoT): communication with vehicles like automobiles, planes, etc. Social networks: LinkedIn, Facebook marketing, etc. Business process networks: powering enterprise applications, assisting in supply chain, etc. The Internet has greatly expanded the reach of enterprise businesses. Quite literally, it ensures that those in the captain’s seat of these organizations are not flying blind. However, in order to be effective, these systems need to talk with each other. That’s why HIPs are a necessary component of doing business in a modern era. Hybrid integration platforms seek to standardize monitoring, management, security and administration across all platforms with their capabilities while taking special care to meet compliance goals and offer a different user experience for each role required for this model’s success. Integration specialist: This role is responsible for developing and implementing integration strategies. Ad hoc integrator: Self-service, line of business developers who are experienced in working with complex systems. Administrator: A system administrator responsible for data quality and lifecycle functions. Only with the proper layers of management in place to ensure capabilities like monitoring, management, security and administration are functioning as they should, can enterprise businesses be successful at this integration strategy. In fact, best practices recommend that this should be achieved strategically through bimodal integration. Mode 1 focuses on trust, compliance and reusability while Mode 2 has to do with agility, faster deployment and risk reduction. Ideally, leadership should decide in advance which mode will be used for each integration project. Possibly the most significant benefit of HIP is that it promotes centralized control and communication across all platforms. It’s the very reason enterprises implement this approach to begin with. Instead of multiple access points, with multiple central command centers, implementing a HIP allows you to seamlessly secure, monitor, manage and administer your various cloud systems from one place. If only we could snap our fingers and have all of our cloud platforms communicating seamlessly. But alas, like any new technology, there is a bit of a learning curve and some heavy lifting during implementation. For many organizations, successful implementation means changing their organizational structure, adding new roles, learning what those roles mean, how they impact culture and more. In many cases, enterprise businesses will have to work with third-party vendors to implement HIP, including their HIP vendor and other cloud vendors that operate public clouds that they need to configure. Luckily for enterprise business leaders, time is on your side. When you begin to implement an HIP solution you can benefit from the fact that it’s an incremental, piece-by-piece journey. This makes it easier for businesses to take the time to learn how to seamlessly centralize important operations. Enterprises trying to stay ahead of the competition are always dealing with the shifting winds of technology, and with HIP it’s no different. This technology, while useful and innovative, is new to the enterprise scene. And, just as with any other new technology, investment has some risk. You never know what changes are just around the bend, what challenges are unforeseeable or what new platforms could render the technology irrelevant. That being said, experts think HIP is here to stay, so businesses should get on board if they plan to operate in the multi-cloud marketplace. Quite simply, hybrid integration platforms are the glue that seamlessly integrates your multi-cloud strategy. The result is greater visibility and control of your platforms, standardized functionality and enhanced communication between platforms, ensuring all useful information appears where it’s needed from one centralized location. HIP uses standard protocols like JSON, HTML, XML and more to communicate with and control multiple clouds that an organization requires to function at peak performance. But this process isn’t completed overnight. Luckily, for those who have been afraid of implementing a HIP approach due to the amount of change that will ripple across the organization, the approach can be done incrementally.